Applications are to be received no later than: 5 pm, Thursday, August 23, 2018. Please read this application carefully as some guidelines have changed. Gallery is staffed by the Allied Arts staff and volunteers. Allied Arts will send press releases and announcements to local publications and its membership. Artists will supply basic text and all photos. Allied Arts is responsible for exhibit installation. Each show will include an opening reception on the first Friday of the month, as part of the Downtown Art Walk. This will be open to the public, and staffed by the artists and Allied Arts staff and volunteers. Select piece from each show will have the chance to be on display at the Hotel Bellwether for one month following the close of the show at our gallery. Application to participate in the any of Allied Arts 2019 gallery exhibits is open to all Allied Arts members, Business level and above, from all visual art disciplines. Participation in any previous Allied Arts event does not guarantee acceptance. Submissions will be juried and judged on the basis of design, technical skill, and originality. All work displayed must be of the quality and type of that was submitted to the jury. Allied Arts reserves the right to exclude items in the show not of the quality and/or category submitted for jury consideration. Artwork must be in good condition and ready for display. 90% of pieces shown must be for sale. Allied Arts will take a 40% commission on all pieces sold in its gallery. AAWC reserves the right to offer a discount of no more then 10% on all pieces sold in the gallery. This discount will be taken from AAWC’s commission. All works must have been created within the past 2 years (unless otherwise approved). We require that everyone who applies for any exhibit or festival, be at our $75 Business Membership Level. There are no additional jury, application fees, or exhibit. To upgrade your membership, visit our secure online store, or include it with your application. The 2019 Gallery Series will consist of 8 shows a year and will feature one to four artists per show. 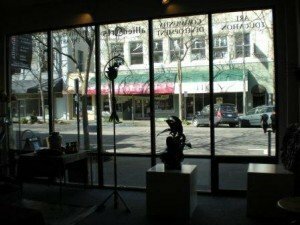 Openings for these are held the first Friday of the month and coincide with the Downtown Art Walks. Each show will run approximately 1 month and will end on the last Saturday of the month. These shows are open to all mediums. Applications can include group proposals but all applicants must have memberships and must be equally represented in the application. The Inside the Box Series is a chance for artists with smaller items to show in our glass showcases, such as jewelry, small ceramics, or miniature 2D pieces. These shows will coincide with the opening and closing of the Gallery Series. Applications are due to Allied Arts Gallery no later than 5 pm Thursday, August 23, 2018. Applications submitted for consideration must include the completed application and membership fees if applicable. If you wish to be considered for more than one medium, please ensure that each is well represented in your application. Fill out the application online by clicking the “Apply Here” button, download a PDF here OR pick one up at the Allied Arts Gallery at 1418 Cornwall Avenue, Downtown Bellingham. Drop it off at The Allied Arts of Whatcom County offices, located at 1418 Cornwall Avenue, in Downtown Bellingham. We are open Monday – Friday 10 am to 5 pm and Saturday from 12 to 5 pm.